I remember I got a bit excited when the news reached me that Metal On Metal Records had signed a new doom metal-band with Forsaken-bassist Albert Bell in their ranks. I was already familiar with Albert’s work in Forsaken of course, and kind of sensed that the result yet again would be some high quality melodic doom metal. Even though I really enjoyed both “First Light” from 2008 as well as “The Eternal Return”, released two years later, it was with this year’s “The Darkening” that the band really blossomed, by stepping up their songwriting and making a more diverse, intense and original album. Reason more than good enough to hook up with Albert for an in depth-chat about the band.Going back to 2006 and the time when Nomad Son was formed, how did it all happen? How did you team up with the other guys? – Basically I had been thinking about forming a new band for quite some time. At the time I was listening to a lot of seventies stuff like Atomic Rooster and Uriah Heep, and I was thinking it might be a good idea to incorporate those influences in a more doom template. I couldn’t do it in Forsaken, because Forsaken had already developed quite a defined sound and identity. I needed different musicians to explore different things, and I was speaking to Forsaken’s producer, David Vella, and he told me about a band, Frenzy Mono, that he was working with back then, and told me the guys were just what I was looking for. He aired me a track from the debut album, and invited me to come to the studio to talk to the guys and maybe jam with them. They didn’t have a bassist in their set up, so the keyboard player also played the bass on the keyboard. I just plugged in the bass and it was electrifying. We did a rehearsal in the studio and made two songs that night. It was a magical sort of thing. They were also looking to do something different, and the idea was first to record a few tracks to do what we thought of as another project, but after the very first rehearsal, we decided it was good enough to start a full blown band. That’s how the whole thing really started . You mentioned David Vella. Was his vision important in carving out the sound of the band? I mean, he had some thoughts about how this new band should sound from the start, how much was his input and how much fell into place when you and the other guys met up and jammed together for the first time? – He was and still is very important for us. Without him we probably wouldn’t have met. Even though we live in a very small country, I had never seen Frenzy Mono live or met the guys. You see, the classic rock scene is a bit different from the heavy metal-scene and attract different crowds, so there wasn’t really that much of a relationship between us and them. I had heard about the band, but I thought they were some alternative rock band, without any sort of enthusiasm for metal, so because David brought me to their attention and arranged our first meeting, he was crucial in getting Nomad Son together. And at the first recording, he was sort of orchestrating the whole thing. All Nomad Son-albums have been mixed, mastered and produced by David at The Temple Studios. Albert says that there are about a half a dozen or so good studios in the Malta, and that the strong bond between himself and David is the main factor behind the frequent visits to The Temple. – I have a good relationship with David since recording the first Forsaken album there back in 1996. 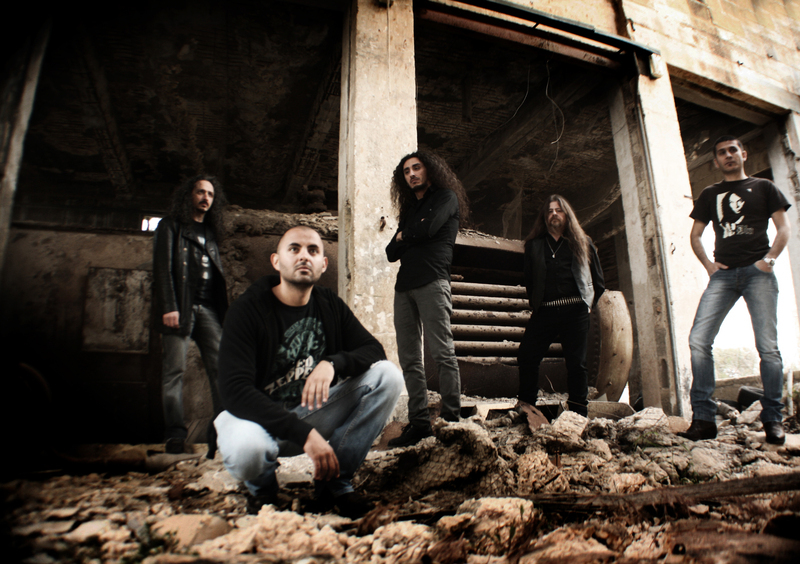 Since then, Forsaken have recorded five or six releases with him, and Frenzy Mono also worked with him on both their studio albums so he remains a natural choice for Nomad Son. However this time much of the recording took place in Chris Grech’s (Nomad Son’s guitarist) home studio. Chris has a very good little studio. We did all the preproduction and the recording of the bass, vocals, keyboards and the guitars at Chris’ place. David then took care of the recording of the drums in his huge studio where he can get really good acoustics on the drums. He also mixed and mastered the whole album. There are a couple of elements in the music that prevents Nomad Son from sounding just like every other band. How important was it for you from the start to come up with a unique, different or original sound? that yes, when compared to the rest of the stuff that is now dominant in the doom scene, we do sound quite unique and we are certainly not copying any trends; unlike the endless spate of “occult doom” rock bands that are now quite omni-present in the scene or the endless list of funeral doom bands slowing everything down to a snail’s pace, without any real concern for building songs that have some sort of identity. There are of course exceptions in each genre or sub-genre, and there are some bands in both the aforementioned styles that I think are worthwhile pursuing….but for the main, most of these bands tend to be somewhat too immersed in trend-worshiping for my liking. Albert says he is also a little disappointed that the doom scene has become a little bit too stagnated at the moment. In his opinion, the latest album from Candlemass, Trouble and Saint Vitus, are not at all ground breaking. One thing that makes Nomad Son different, if not ground breaking, is the use of Hammond-organ. Was this instrument always meant to be a part of the sound of the band? – Yes! I formed the band mostly because of my passion for Hammond oriented heavy rock. I’ve been into this seventies sound since I started out, the first bands that I listened to as a teenager were acts like Uriah Heep and later obviously Deep Purple.Then I got into band slike Atomic Rooster, Lucifier’s Friend and Omega too. The Hammond sound was a huge passion of mine, and I searched a Hammond driven hard rock band to back up what I had been planning and the guys from Frenzy Mono fit perfectly into this. At the time they were into classic rock obviously, progressive rock but also Black Sabbath, which is the common influence for all the guys in Nomad Son. They weren’t that much into doom metal at the time, apart from Chris, who has a strong metal background, but I gradually introduced them all to the genre. I still remember meeting Jordan and handing him lots of Pentagram, Candlemass, Iron Man and Trouble of course….and more recent bands like Krux and Place of Skulls. Gradually, all the guys started getting really into the scene and enjoying the bands I had always loved. For me personally, it was exhilarating seeing them all getting so much enthused about doom metal and other stuff I enjoy. At the same time however, I think that the fact that they also stuck to their roots and the seventies stuff that they are also hugely into has helped us to be able to draw from a wide variety of influences. Had we all listened to the same stuff, and had the same musical backgrounds, it is unlikely that Nomad Son would have developed into the way it has. Another thing that sets you apart from the bunch, is Jordan’s vocals. Do you feel that it’s a love/hate relationship with his voice, as many people mentions it as a definitive strength while others seem to have a hard time accepting a singer in this genre that sounds a bit different? – I think it’s always the same with vocalists, it’s all very subjective. For instance, I am a big King Diamond-fan, and there are people, even within my own bands that don’t like him. Vocals are very, very subjective. I think Jordan has a unique kind of voice. I think that right now in the doom scene, there is lot of repetition, lots of people sounding like Ozzy or Messiah or whoever. Jordan is different, he has a very interesting vocal range, and he also has the ability to fit the moods of the song. I am a fan of his voice, and I am very happy to have him in the band. If people are into his vocals it’s of course a big plus for us, but you can’t force anybody to like a singer. One of my favorite vocalists is Cronos from Venom, who many people will say is really no vocalist at all. I am a big Schmier-fan too, and I was always debating with my thrash-friends during the eighties about this voice. Some people insisted he was just screaming, so I think it’s always been very subjective. However, Albert is far from frustrated by the fact that many doom metal-fans seem to be quite conservative when it comes to vocals. – Not really. In fact, I think many people are very open minded about the band. The problem is not about the vocals, but about the change of tempo in our material. Some doom metal-fans might find us a little too fast for them, but I always thought doom metal should sound this way. Saint Vitus for example has all these great up tempo tracks, for instance the song “St. Vitus”. Trouble also had a fair share of mid- to uptempo songs which creates more variety. I easily get bored by bands doing the same thing over and over again. Even though the end result sound refreshingly different, the songwriting seems very much inspired by some of the more important bands of the genre, like Trouble, Candlemass and Black Sabbath. Would you say that you can hear those bands in general in the material of Nomad Son, or are you more inspired by certain periods of these bands? I mean, I have a mate saying that he can hear some Tony Martin-era Black Sabbath on “The Darkening”. – Which song is he referring to? -I really can’t see any Tony Martin-influences there. What I can say, is that I think “Headless Cross” is a very, very good album. So is “The Eternal Idol”. I also like “Cross Purposes”, and I think “Forbidden” is the only poor album from that period. We’re all quite heavily influenced by Black Sabbath. Jordan is a huge Dio-fan too. He and I are also very much into “Born Again” which is one of our favourite Black Sabbath-albums. I don’t think we intentionally draw from any specific period of Black Sabbath. We generally like everything from the Ozzy years down to the Tony Martin-era. On a Norwegian web-board we recently had an interesting discussion about how fresh and original the new album sounds. One guy said that his theory was due to the fact that the band might be a bit isolated from the rest of the scene. He also draw parallels to Dantesco out of Puerto Rico which he also views as an original act. The big question is: Is it really possible to be isolated in today’s scene? – I would not call ourselves isolated. I am a metal fan first and foremost and follow the scene quite religiously. I have been doing so since my teens. Over these past two years I have been revisiting my old cassette-tape collection and getting all the stuff I had from the eighties. Remember, we couldn’t get most of the more obscure and underground stuff here in Malta back then, and getting everything on CD or LP while also hunting down new releases or bands that I enjoy . Just last month I ordered about about 25 CDs or so . I am quite well informed on metal, especially the genres I follow, ie. Doom, NWOBHM, thrash/speed metal and some old school death metal too like Asphyx and Autopsy, and always make sure to spread the information to the other guys and my social circle as well. We are fans just as much as we are musicians, and we certainly know what the trends are. However, when it comes to creating the music, it’s something very personal. To be honest with you, your friends might be partly right. We are not really influenced by what is hot in the scene at the moment, you know bands like Ghost or Blood Ceremony. That being said, I listen to a variety of music. Just today I enjoyed “Lucifuge” by Danzig, and in my car I have the new Darkthrone-album, which I think is very, very good. I am also enjoying the he new Sodom album, “The Epitome of Torture” at the moment and also the Autopsy-album, “The Headless Ritual”, which is a very good one. So I listen to all sorts of stuff, and the other guys also listen to a lot of different music. I think our sound is developed from the fact that we have very different backgrounds, and we listen to all sort of different bands. The only store here in Norway carrying Nomad Son-stuff, is a distro called Nordic Mission. Is Nomad Son a Christian band? – We know Nordic Mission well. They’re great fellows who I had the pleasure to meet at Elements of Rock fest in Switzerland in 2007 with Forsaken and more recently, earlier this year with Nomad Son. But, back to your question. I have no problem admitting that I do draw a lot from Christian theology and eschatology in my lyrics. I am not really trying to shove anything down people’s throats…each to his/her own ways I say. However, I do find value in Christendom’s fundamental precepts and am fascinated by the richness of Christian theology. We are not however an evangelical band or anything like that. I think you can best describe Nomad Son as a secular band with a Christian outlook on things, while remain very critical of the institutional hold and narrow-mindedness that grips Christendom, and this is even more the case with Catholicism, today. Believe me, growing up as a metal head in a staunchly conservative and traditional country, such as ours was in the eighties and with remnants of such conservatism remaining predominant today, was no easy task. So I do know from where metal heads are coming from when they look at the traditional powers that be with disdain. If anything such intolerance and ignorance runs counter however to the values I was referring to above, for instance compassion, community and solidarity. What I often dwell upon in my lyrics is the need to revisit and consider the relevance of such values to our lives versus the egoistical, alienating drive of the unbridled capitalism that is strangulating and suffocating today’s society. – It certainly makes the release more appealing, especially for those who already have the album. It was a bit financially difficult to release the DVD separately, even though we were very keen on it. The rerelease materialized since the first pressing of the album was sold out, so we thought why not combine the DVD and the original album. It’s looking good, and the DVD contains two hours of material, the full show from Hammer Of Doom, some shots from other shows as well, for instance he gig we did at Doomsday IV in Wakefield in England some years back. A lot of people felt that the second album “Eternal Return” was a step up from the debut. Do you remember if there were certain things that about the first album that you really wanted to improve for the second album? – Yes, of course. I mean, over the three albums you can hear a progression in Jordan’s vocals for instance. We worked hard to eliminate any limitations that there might have been on the first two albums.. This time, we had more times to work on the vocals, since we used Chris’ place. We made sure that the choruses are a catchy as possible and also that the delivery is as good as we wanted it to be. This was an important and big progression over the three albums. On the first album we also had a little instrumental (“Delirium”) that didn’t work out, a sort of ambient thing. We tried to improve the guitar sound as well. I have to say that the bass sound I had on the first Nomad Son-album is the best sound I ever had, so I have tried to replicate it since. However, I don’t think we have really managed it for some reason or another. It really is exceptional. So that is something to continue to strive for on our future releases. I feel that the new album, your best so far, has more aggression and tempo. A friend of mine even called it speedy doom metal. – What did he call it? – Yeah. It’s much more aggressive and powerful. The songs are very interesting to play live as well, we have a good new live set now when we combine the new stuff with the songs from the first two albums. There’s a strong progression in terms of the complexity of the songs and the heaviness. The word I am looking for is intensity, it’s really not speedy. If you use a metronome to look at the tempos that we have, there is really only one song where the tempo escalates, and that’s in the midsection of “Age of Contempt”. The rest is mid tempos which are normally used in the genre, but since the songs are so damn intense, you get the impression that they are really fast. But obviously, if you compare us to a funeral doom-band we do probably sound like speed metal. Haha! What are you most satisfied with on “The Darkening”? – What I am really pleased about is how the music complements the lyrics and vice versa. Everything sounds great, there are no weak points, no songs that could have been done better, like on the first albums. I am not slagging off the songs on the first two albums, I still love them. There are lot of great songs that remain popular among the fans when we play them. Songs like “Seven Notes In Black”, “Shallow Grave” and “Forever Twilight” from the first album, and “Winds Of Golgotha” and “Sigma Draconis” from the second album are very, very popular, and I think they are indeed great songs. The album is, however, very intense. We had some other songs lined up for this new album, but we decided to scrap them for this album to keep the intensity. We wanted the album to sound dark and heavy, hence the title “The Darkening”. I think it worked well. Will you use the additional songs you are referring to for the next album, or will you write completely new material? – We have the basic structures for some songs ready. We’re writing stuff all the time. I also have some new song texts written as well. We have all song titles and the general plans for the next two albums ready, so there is definitely more to come. When can we expect the next one, in two or three years time, or earlier? – Possibly earlier. I think that the next one won’t take three years, but this is just a thought really, because obviously there are all sort of things going on in our lives, I think the fourth one will be out in two years time, but we won’t rush things. Right now we will focus on the gigs we have lined up for the rest of the year and then return to songwriting. Can you say something about the direction you are heading in? Will the next effort be in the vein of “The Darkening”, or will you try out something new? – That’s a very good question. When it comes to Nomad Son, I often communicate an idea to the other guys which they continue to build upon. Then it often takes a different route. Sometimes I have an idea…for example, right now I am working on the basic structure for track that I see as similar to Death SS and Goblin. But that is what I have in mind, it might take a different direction when the others enter the picture with their ideas. The same happens when Chris or Julian for example come up with their ideas. We all pool in our own, individual input, so quite often a song might take a different direction to whatever was in the original songwriters’ mind. It’s really difficult to predict the direction of the album, as it really is under development and something very dynamic. If you look at the three albums we have released, there is something different on each of them, and also some progression. I am sure there will be further progression on the fourth one. What is the status in the Forsaken-camp at the moment? Any progress on the next album? 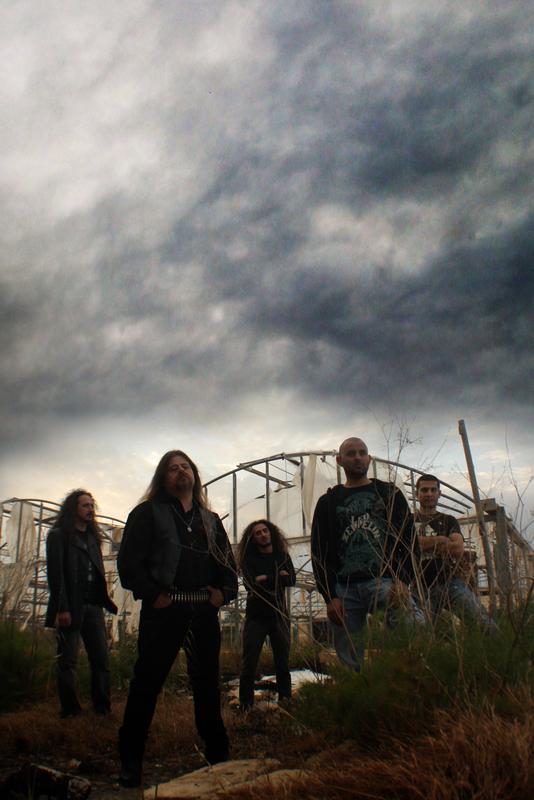 – Forsaken has been busy working on the new album. It’s going to be called “Pentateuch Vol. 1”. Right now I should be working on the bass recording, but I have postponed it for a while, as I am focusing on the live gigs for Nomad Son at the moment. Basically all the guitars, vocals and drums are ready, so it’s just the bass and perhaps some additional guitars and stuff like that missing. All the writing is done, all the rest of the recording is done, it should be released next year for sure. Expect some heavy, epic doom coming your way haha! Which label will be releasing it? – Obviously we’re talking with I Hate Records out of Sweden, our current label, but there is no contract signed at this stage. The plan was to send them a few tracks to listen to, and take things from there. It will hopefully work out with I Hate, they are really nice guys. By the way, I am also working on a solo album now. – Yes, I am doing the vocals, guitars, the bass obviously and have written all the music. I play everything apart from the drums, which I have programmed myself, with Chris’ help who is recording everything apart from the real drum takes. For the latter, I am using the hallowed Temple Studios again, and brining in a session drummer. All of my influences are coming together in this concept album. It’s like Venom meets Candlemass! I am really enjoying it. It will be interesting to hear both the new Forsaken as well as Albert’s solo offering. I want to thank Albert for his kindness. In the end he was the one that called me to get the interview done. Also, a big thank you goes out to the guys over at the Scream Magazine-webboard who are there mainly to discuss and discover metal, whether it’s doom, heavy or thrash. Your thoughts were really helpful in my preparations for this interview. Stay metal! This entry was posted in Long Distance Runners and tagged Albert Bell, Forsaken, Malta Doom Festival, Metal On Metal, Nomad Son by leifkringen. Bookmark the permalink.